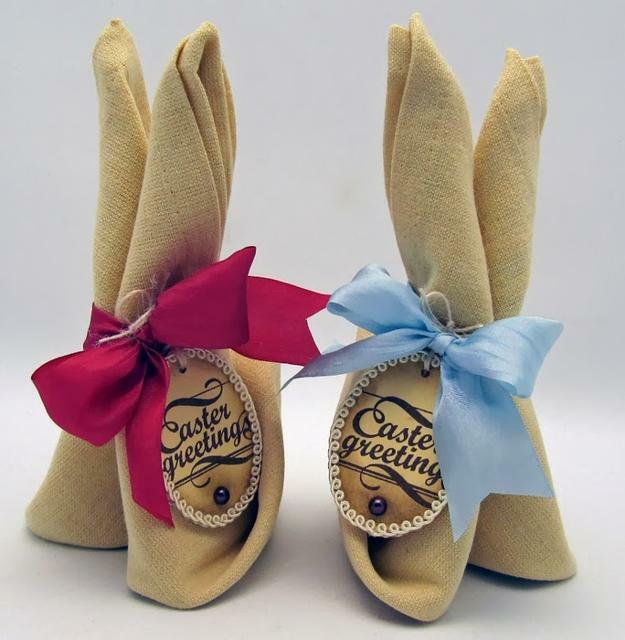 Handmade Easter decorations are great for Easter party tables. 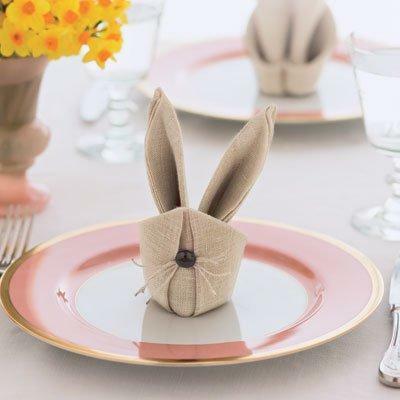 Easter Bunny napkin folding ideas create wonderful table decorations that enhance the Easter theme and add interesting Easter decorations to spring party table decor. 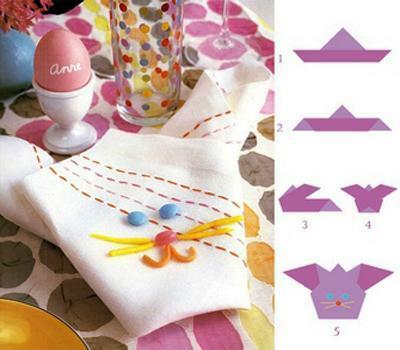 Lushome offers a few different techniques to make Easter decorations with napkins. 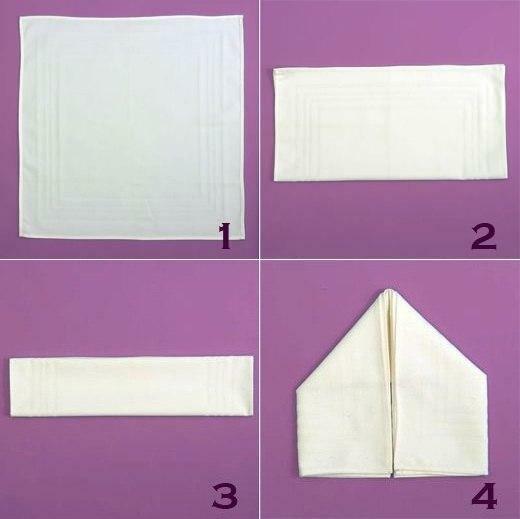 Napkins are one of the most essential items for party table decoration. 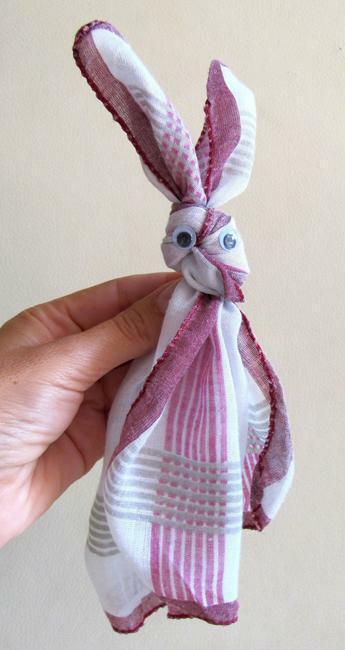 There are different kinds of napkins: cloth and paper, but you can try to make Easter decorations with both napkin types. 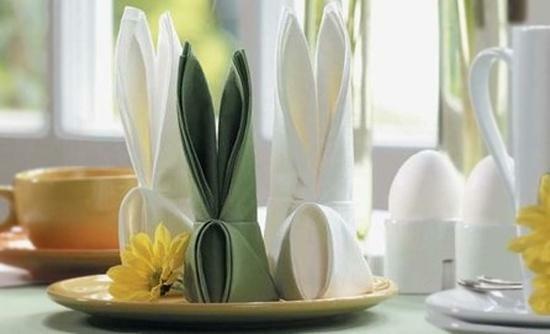 Easter Bunny decorations, created with paper or cloth napkins can decorate your home and dining table. You can keep them for a few days on your table before your Easter party. Paper napkins are perfect for informal parties. 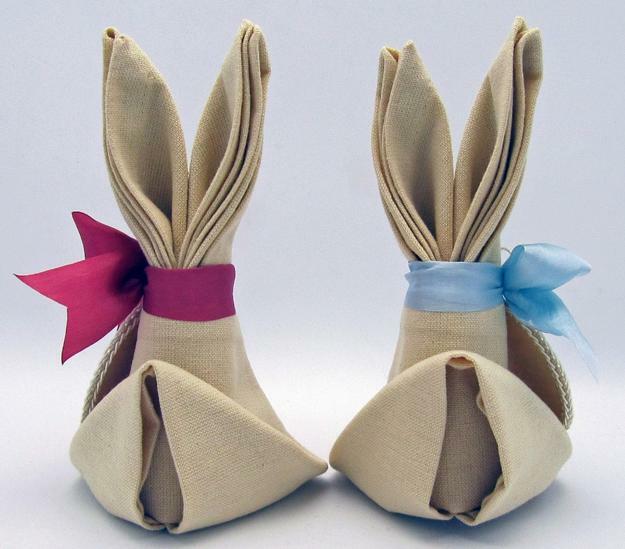 Kids will need a few paper napkin Bunnies and will enjoy if you provide a few Easter Bunnies for each child. 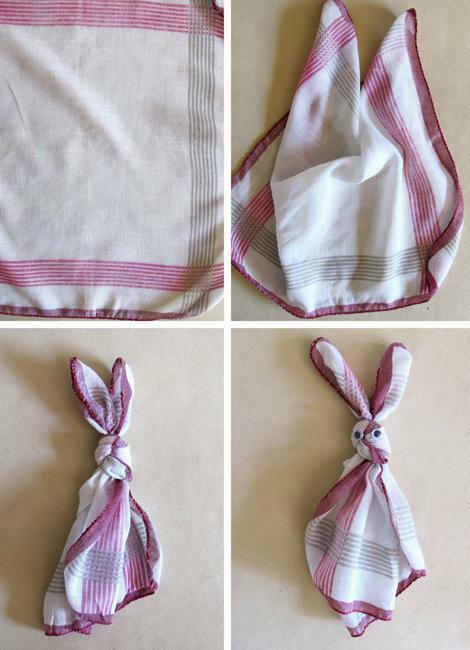 Cloth napkins can be folded in shapes of Easter Bunnies for your formal Easter party for adults or for home decorating in spring. 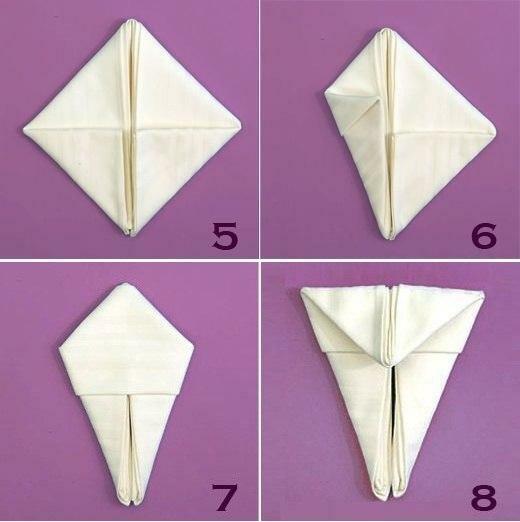 The traditional ways of folding napkins, which is the napkin folded right in half, is boring. 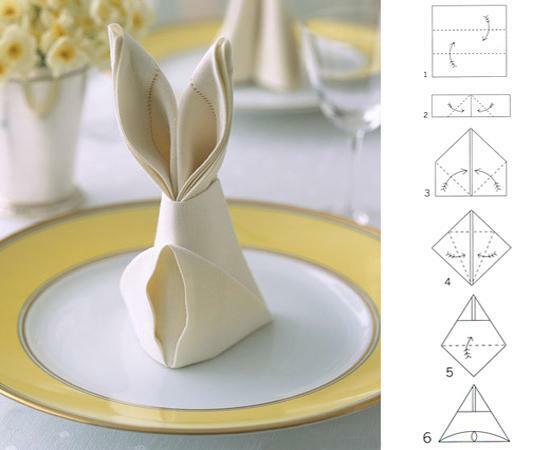 Creative ideas for folding napkins allow to add fun Easter decorations, like Easter bunnies, to your spring party table decor, and surprise your family and guests with cute designs. 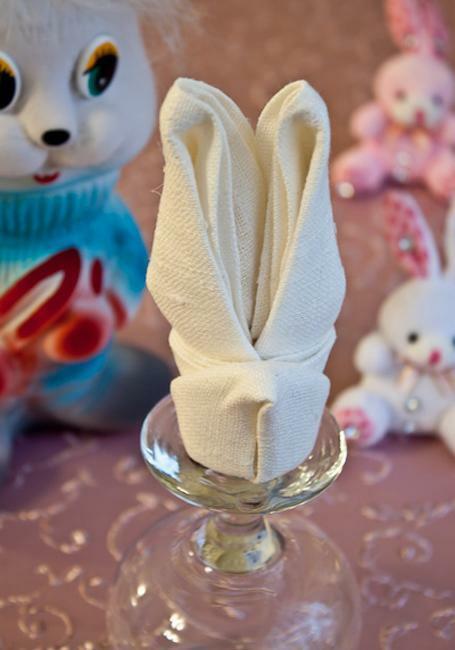 Napkins can be presented as artworks that create stunning Easter centerpieces and individual table decorations for quests. 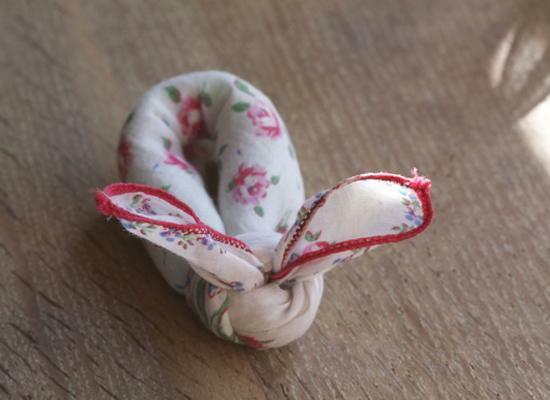 Cloth napkins in various colors, bright prints and patterns add character to these handmade Easter decorations. 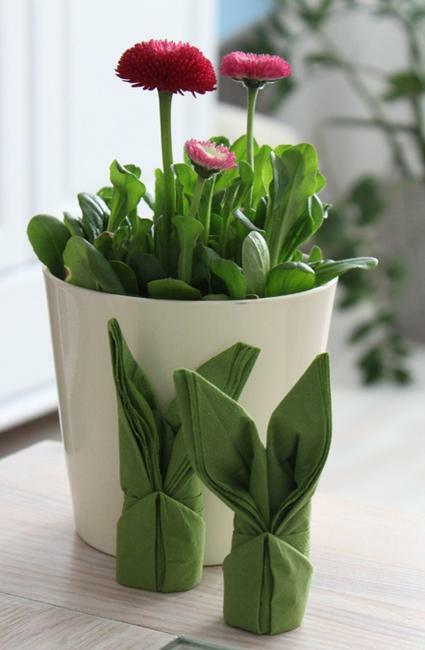 You can fold napkins and create small and big Easter Bunnies, design colorful Easter decorations and bunny images in solid colors. 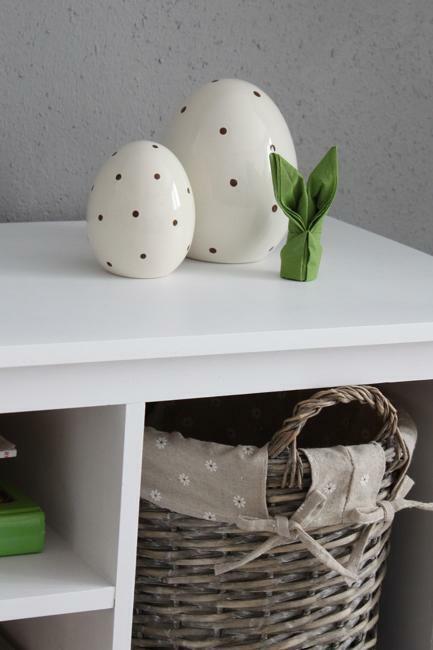 All these Easter decorations look fantastic with Easter eggs, chickens, green grass, small house plants and fresh flowers that you can use for Easter decorating. 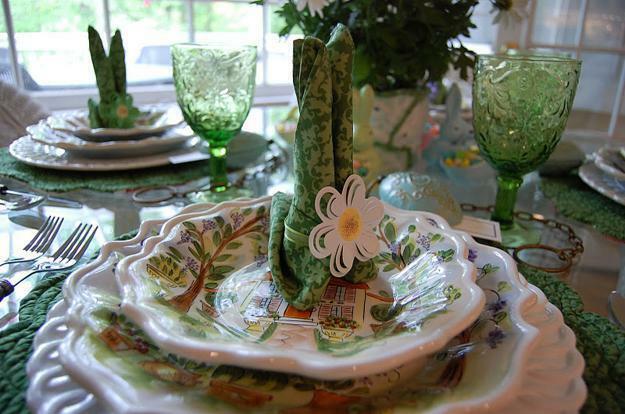 Fun napkin folding ideas help create unforgettable Easter decor, festive large table centerpieces and small individual Easter decorations for each guests. Spring flowers, Easter bunnies, gift baskets, Easter eggs, grass and small house plants are powerful Easter decorations that turn party tables into spectacular displays. 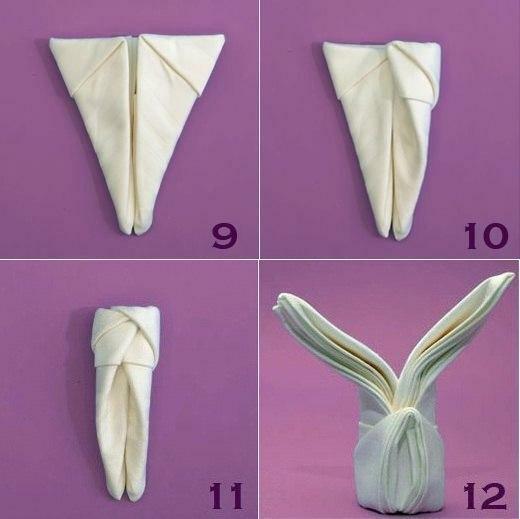 Fun napkin folding ideas will make adults and kids happy. 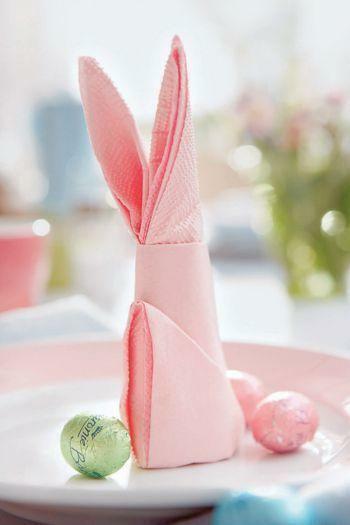 Chocolate and Easter Bunny napkins on the table look delicious and beautiful.